(This has been mentioned by Reuben in the documentary section of the United We Stand DVD) Following the advice, Reuben and Marty led the team in making their very first album, Everyday. They subsequently recorded 3 more albums with Reuben before changing the band's name from 'United Live' to 'Hillsong United' after Reuben's departure in 2002. Joel Houston, the son of the church's senior pastor, replaced Reuben, and stepped up to lead the group together with Marty. The band has toured in a number of countries, and their 2006 release United We Stand was the best selling album of 2006 in Canada at Christian retail stores. 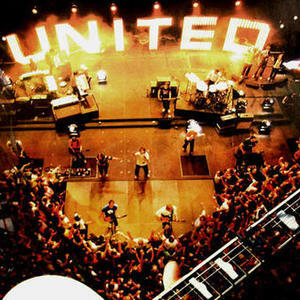 The annual Hillsong United CD/DVD is recorded during their October youth conference Encounterfest; the album is released in February the following year. The 2007 Hillsong United album "All of the Above" was released on the 17th of March. Unlike all of the previous United albums, this CD was studio recorded. To date in 2008, Hillsong United have released the first part of the I Heart Revolution recordings; 'With Hearts as One', made live around the world during the band's recent tours. The CD features previously released United tracks recorded live in different locations, and the first installment of a live DVD. In 2009, they released 'Across the Earth: Tear down the walls', followed by 'A F T E R M A T H' on February 15th 2011. On February 14, 2012, 'LIVE IN MIAMI (Welcome to the Aftermath)' was released. It contained songs from both the album Aftermath, and several other of their greatest hits, such as "The Stand," "With Everything," and "Your Name High." It was also the first fully recorded Hillsong United tour.